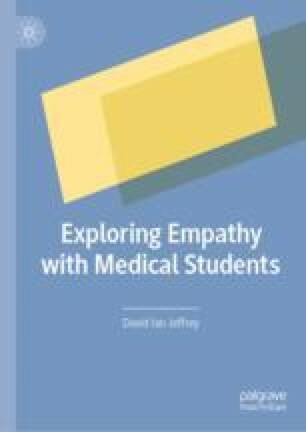 A widely accepted view that students’ empathy declines during their training is challenged by the experience of the students in this study. Instead, they describe an increasing on focus on the patient, distress at examples of a lack of empathy with patients and a concern that they remain empathetic doctors in the future. They also describe the ways in which in some clinical situations they hide expression of their empathy in the interests of appearing ‘efficient’.